Maha-Harinama Party on Canada Day!!! ~ The Toronto Hare Krishna Temple! Maha-Harinama Party on Canada Day!!! 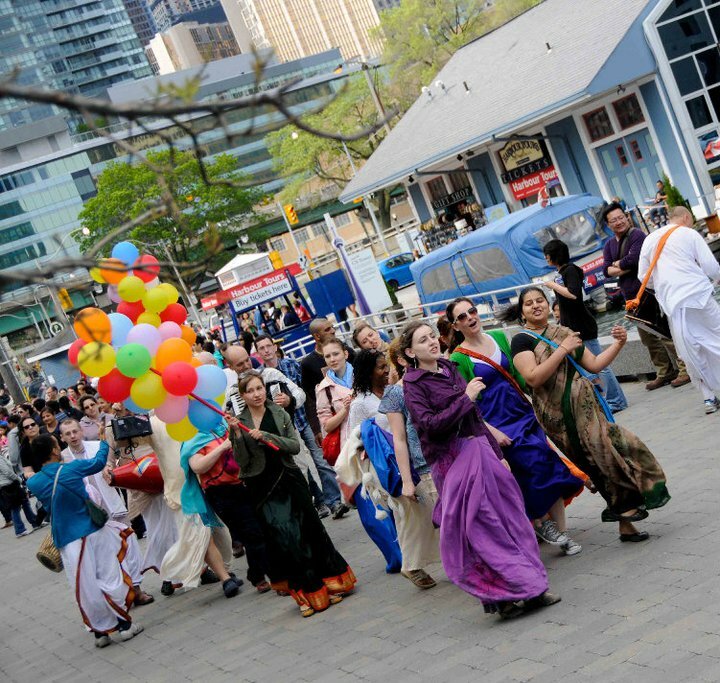 It is Canada's B'day on Friday and your Hare Krishna Centre wants to celebrate this special day in a fun and festive way! We are inviting everyone to join us on Friday, July 1st as we hit the streets and share kirtan, sweets, books and smiles with Torontonians during Canada day festivities in downtown Toronto. This is also a great way to inform people about the upcoming Festival of India (Ratha-Yatra) by handing out cards!!! The plan is to meet at the temple at 1pm and we will then head downtown for a grand street party with kirtan accompanied by wild drumming, singing and dancing! We will be back at the temple by 4pm where a delicious meal awaits us! 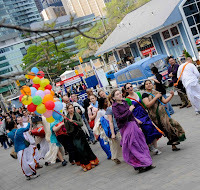 A special request goes out to EVERYONE to dress as colourfully as possible, in full devotional attire, as we want to amaze Torontonians with the beauty of Krsna consciousness, both with our appearance and with our smiles! If any of the ladies are interested in getting gopi-dots (traditional face painting) done, please come by earlier to the temple!